Growing a herb garden have been a tradition since ancient times. Herb gardens are useful for growing your own herbs but also for adding unusual color and scent to your yard. Herb gardens on their own are beautiful and full of deep colors and exotic scents. Herbs have traditionally been valued for medicinal and culinary purposes, their fragrance, and for general household use. Although they are rarely grown in the gardens for medicinal purposes today, a dozen or so culinary herbs are essential plants for many gardeners (and cooks). So even if you’re not an avid chef an herb garden might be something that you’d enjoy having. But if you are an avid chef, or just love seasoning your food with fresh herbs, then growing a herb garden is for you. Many culinary herbs are easy and gratifying to grow. You can have them outdoors or you can grow a smaller herb garden inside or in containers. Many herbs are easy to start from seed as well, and those that don’t overwinter can be replaced by spring. Culinary herbs are perfect plants for container gardens. You can easily grow them indoors and many people have container gardens in their kitchens where they can just pick fresh herbs to spice up their cooking whenever they want. If you end up with more herbs than you will use quickly you can always dry the leftover herbs and preserve them for future use. Growing a herb garden at your own home producing healthy and fresh herbs with pretty containers can make wonderful and inexpensive holiday gifts, so if you’re thinking ahead for the holidays think about starting a small herb garden and growing some herbs that you can use in a homegrown gift pack for friends and family. You can use herbs for more than cooking. These days, many people make soaps, lotions, and medicinal compresses from herbs. You can grow your own herbs at home and add them to commercial soaps and other items. Do you love the scent of lavender or other herbs in your laundry soap or in an air freshener? You can grow your favorite herbs and add them to commercial products to use instead of chemical scents. This can save you money and help your health too. 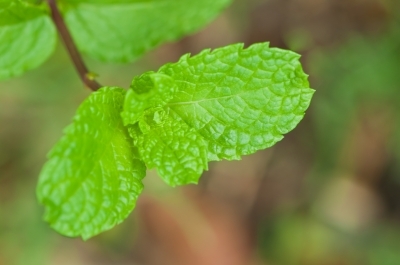 Growing herb gardens are also great if you want to cultivate herbs to make herbal tea. Herbal teas can be expensive, but growing your own herbs is cheap and the fresh herbs will make wonderfully rich and aromatic teas. Herbal teas are very popular, so growing your own herbs to make tea could be a great way to make some extra money and to indulge your passion for gardening. If you have kids then growing a herb garden is a wonderful way to introduce kids to the art of gardening. Kids love to plant seeds and watch them grow, the process of taking care of the seeds and nurturing them, and then watching as a new herb bursts forth from the seed. You might even discover that one of your kids has a passion for gardening too. Try growing an herb garden with your kids as a rainy day project, or create small herb gardens in egg cartons or other containers at a sleepover or children’s birthday party as a cheap and fun way to keep the kids amused. They can keep the container that holds their own herb garden as a party favor.